In the wake of sexual misconduct allegations against Charles Dutoit, the Philadelphia Orchestra Association has revoked the conductor's title of conductor laureate and discontinued its association with him, the orchestra announced Friday. Dutoit, 81, accused of misconduct by four women in an Associated Press story this week, was the orchestra's chief conductor from 2008 to 2012, and held other titles at the orchestra's summer homes at the Mann Center and Saratoga Performing Arts Center. Separately, the Mann on Thursday night released a statement saying it was "deeply disturbed to learn of the accusations of sexual misconduct against Charles Dutoit," who was its artistic director from 1990 to 1999. "During that time, Dutoit conducted 92 concerts at the Mann. The Mann has no record of any reported incidents involving Dutoit." In interviews with AP, four women — two named, two anonymous — detailed encounters with Dutoit between 1985 and 2010 in Chicago, Los Angeles, Minneapolis, Philadelphia, and Saratoga Springs, N.Y. "He threw me against the wall, shoved my hand down his pants and shoved his tongue down my throat," retired mezzo-soprano Paula Rasmussen recounted of an incident she said occurred in his dressing room at the LA Opera in September 1991. "As soon as it was just the two of us in the elevator, Charles Dutoit pushed me back against the elevator wall and pressed his knee way up between my legs and pressed himself all over me," said the soprano Sylvia McNair of an encounter when the two were performing with the Minnesota Orchestra. 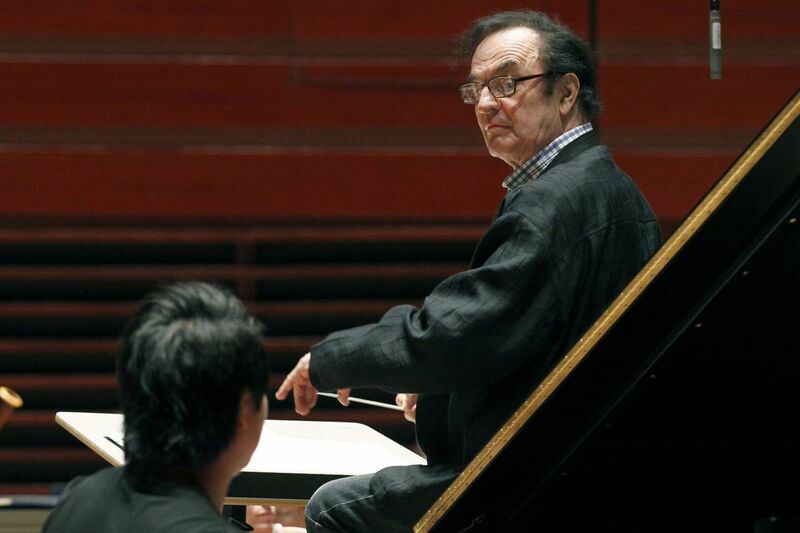 A third singer told the AP that Dutoit assaulted her on four occasions when she was in her 30s during performances with the Philadelphia Orchestra — first in 2006 at the Saratoga Performing Arts Center in upstate New York and then in 2010 in Philadelphia. The fourth accuser, a 24-year-old musician with the Civic Orchestra of Chicago when Dutoit visited in spring 2006 to guest-conduct the Chicago Symphony Orchestra, told AP that Dutoit forced himself on her. "The allegations made against me are as shocking to me as they are to my friends and colleagues. I do not recognize the man or the actions being described in the media. Whilst informal physical contact is commonplace in the arts world as a mutual gesture of friendship, the serious accusations made involving coercion and forced physical contact have absolutely no basis in truth. "I am taking legal advice and plan to meaningfully defend myself and I believe within this current climate, media accusations on serious physical abuse do not help society tackle these issues properly if the claims are in fact not true." Joseph H. Kluger, the Philadelphia Orchestra's president for 16 years ending in 2005, covering much of Dutoit's time in Philadelphia, said Thursday that while rumors of flirtatious "inappropriate behavior" were widespread, he was "not aware of any occasion in which anybody brought, certainly not to my attention or anyone else's at the Philadelphia Orchestra, any complaints about his behavior throughout the time I was there." The Swiss conductor made his Philadelphia Orchestra debut in 1980, and went on to lead 650 performances with the ensemble at home and on tour. His last performance in Philadelphia was in March.